HNB posted a strong start to 2018 with first quarter PAT growing by 22.5% to Rs 4.5 Bn, while the Group reported a PAT of Rs 5 Bn which is a 24% growth from last year. 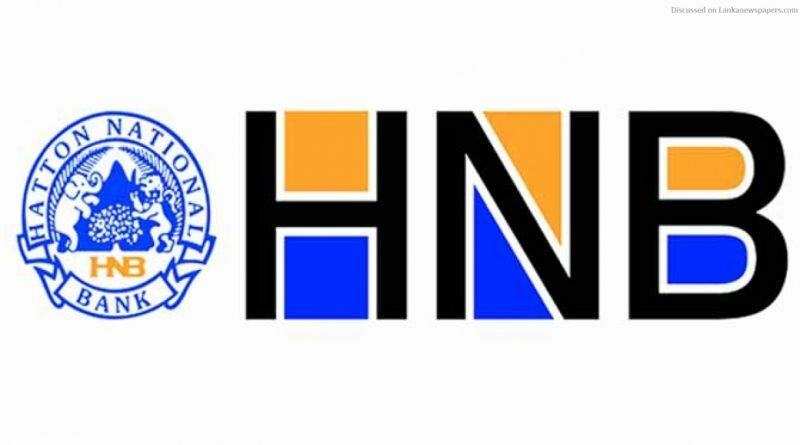 HNB expanded its loan book by Rs 33.7 Bn during the quarter which represented growth of 5.3%, enabling a 10.5% year on year (YoY) increase in interest income which totaled Rs 24.9 Bn. The Bank grew its CASA base by 9.9% in the three month period to Rs 273.6 Bn, improving the CASA ratio to 38.0% from 35.5% as at December 2017. As such, growth in interest expenses was curtailed to 7.2% YoY while Net Interest Income (NII) grew by 15.1% YoY to Rs 10.7 Bn. The low cost deposit base was instrumental in the bank continuing to attain above industry net interest margins. The total impairment costs of the Bank increased by Rs 587.5 Mn against the comparable period in 2017, largely due to adverse weather and market conditions. The gross NPA ratio of the Bank slid to 2.72% as at end of March 2018 in line with the trend witnessed across the Banking sector which saw the industry NPA ratio deteriorating to 3.0%. The continuous efforts on operational excellence and cost optimization enabled HNB to curtail the increase in operating expenses to a marginal 2.1% YoY. As a result, the cost to income ratio of the Bank improved to a low of 36.3% from 41.9% recorded in the corresponding period of 2017. PBT of the Bank grew by 23.6% YoY to Rs 6.3 Bn while the PAT improved to Rs 4.5 Bn. The Bank recorded a ROE of 16.43% and a ROA of 1.84% for the first quarter of 2018.The Bank’s asset base grew by 3.8% during the quarter to Rs 990.8 Bn while the Basel III Total Tier I and Total Capital ratios stood at 12.78% and 15.77% respectively, well above the industry averages and the statutory requirements of 8.875% and 12.875% respectively. Commenting on the performance, MD/CEO of the Bank Jonathan Alles stated that “We are pleased with our first quarter performance and truly grateful to all our stakeholders for their continuous support. The banking sector is challenged by the implementation of SLFRS 9 reporting. All of HNB’s subsidiaries and joint venture Investment Bank contributed to raise the Group PBT to Rs 7.2 Bn which is a growth of 25% YoY. The Group ROA improved at 1.96% compared to 1.75% in Q1 2017. HNB in early 2018 was adjudged as the Best Retail Bank in Sri Lanka for the 10th time while Asiamoney magazine bestowed upon it the awards of Best SME and Best Digital Bank in the country.